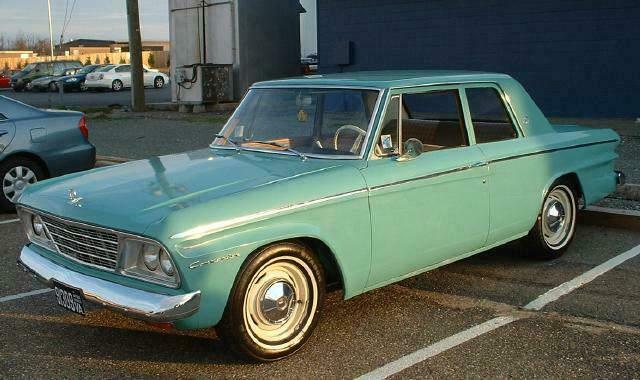 This pristine 1965 Studebaker Commander Sedan belongs to Bill and Diana Sandor of Mechanicsville, Virginia. 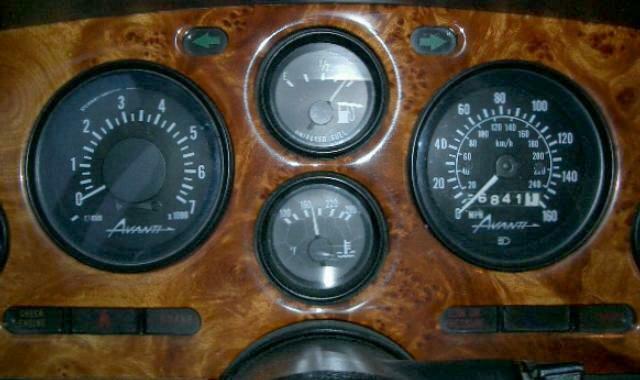 The car was inherited from an aunt with only 23,000 original miles on the odometer. 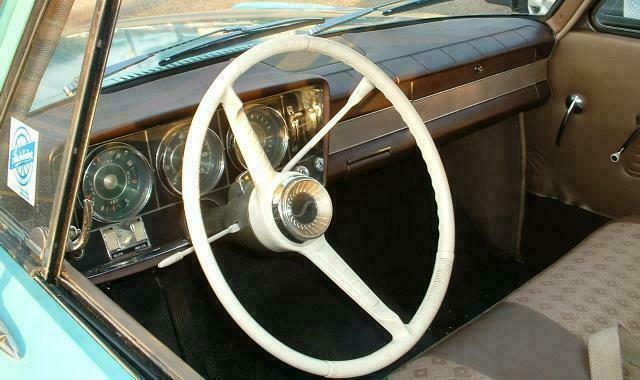 The white steering wheel and amber parking lamps were used on Canadian production 1964 Studebakers and were carried over into 1965. 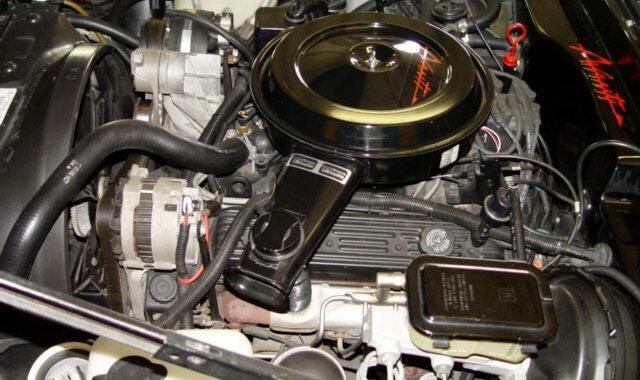 The primary difference between the 1964 and 1965 models lies under the hood. Studebaker discontinued manufacturing its own engines after 1964 prodection was complete and switched to General Motors six and eight cylinder engines built by McKinnon Industries of Canada for the 1965 model year. These engines were essentially the same as those used in contemporary Chevrolets. 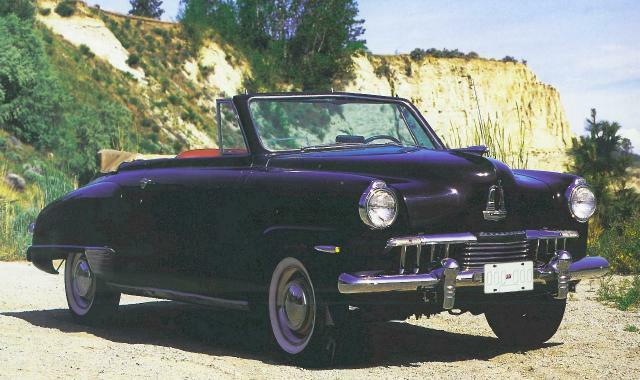 This particular car has the 194 cubic inch six cylinder engine which was rated at 120 horsepower. A 283 cubic inch V8 rated at 195 horsepower was also available. The Sandor's car is equipped with Studebaker's three-speed Flightomatic automatic transmission and came from the factory without a radio. 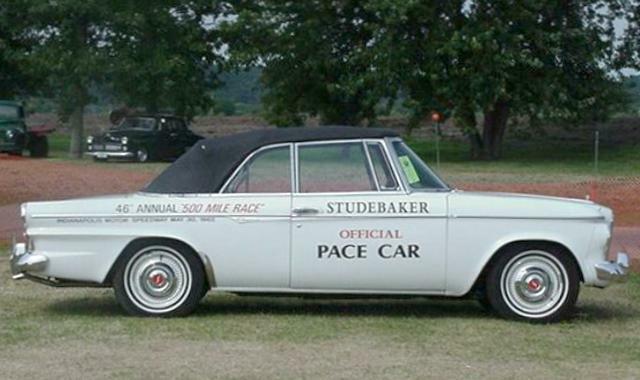 Frank Drumheller took these pictures at a Studebaker gathering earlier this year. Thanks to Frank for sending the pictures and information. 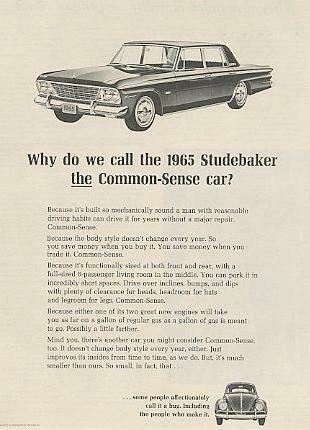 Studebaker's advertising theme for 1965 was the "Common Sense Car" which did not change its body style from year to year. This ad tried to make the point by likening the 1965 Studebaker to the popular Volkswagen Beetle. The idea was to maintain the basic style, which was unchanged from 1964, and make running mechanical changes and other improvements. 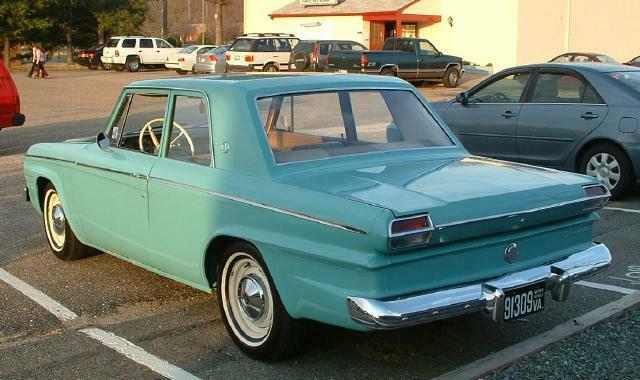 This strategy lasted exactly one year, as the 1966 model featured revised front and rear styling and lowered side trim. Frank Stirling of British Columbia, Canada sent in these pictures of his recently acquired 1947 Champion Regal Deluxe Convertible. 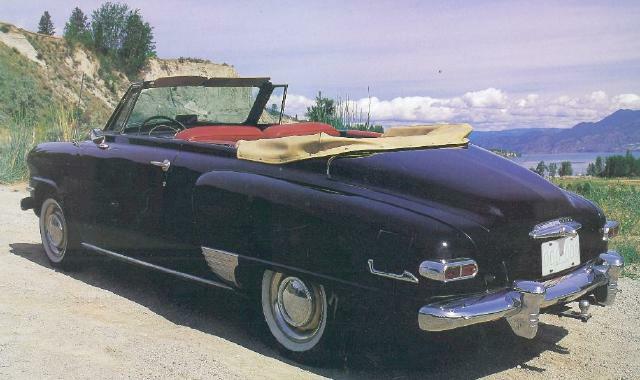 Studebaker had all new body styling for 1947, and convertible production was relatively low that year with only 2,251 Champion and 1,503 Commander convertribles produced. Convertible production increased significantly the following year with 9,996 Champion and 7,982 Commander convertibles produced. The 1947 Champion was powered by a 170 cubic inch flathead six rated at 80 horsepower. This was basically the same engine used in the carryover 1946 Champion, but the resyled Champion was several hundred pounds heavier than the original, and performance suffered as a result. The only tranmission available was a three speed manual with overdrive as an option. Bill Junge sent this picture of a sharp looking 1955 Commander Hardtop. 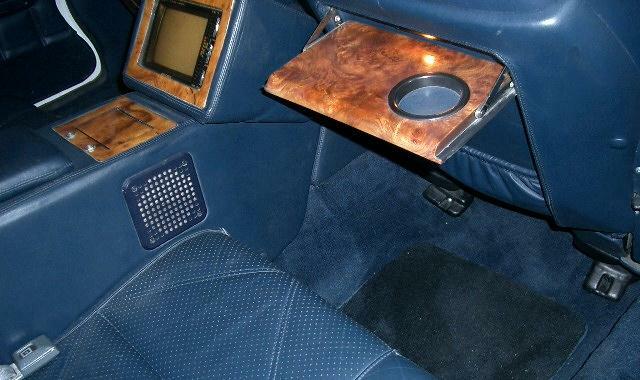 This is a Regal model with plenty of chrome trim and a nifty two-tone paint job. The vertical molding just past side door indicates that this is a "late model" car powered by a 259 cubic inch V8 rated at 162 horsepower. Early 1955 Commanders were equipped with a 224 cubic inch V8 rated at 140 horsepower and used a different two-tone paint treatment. 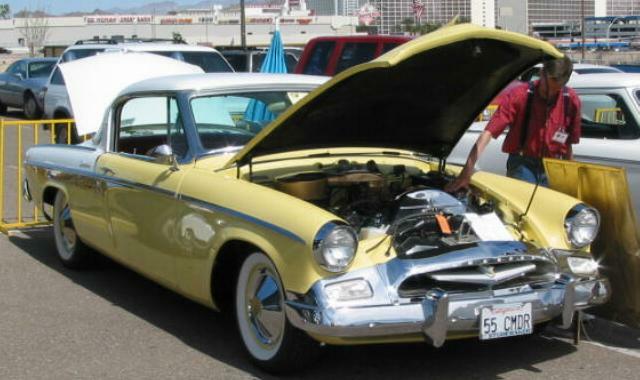 The 1955 Studebaker sold fairly well with production exceeding 116,000 units. This was almost double in 1954 level. Studebaker did not exceed the 100,000 mark again until the compact Lark came out in 1959. 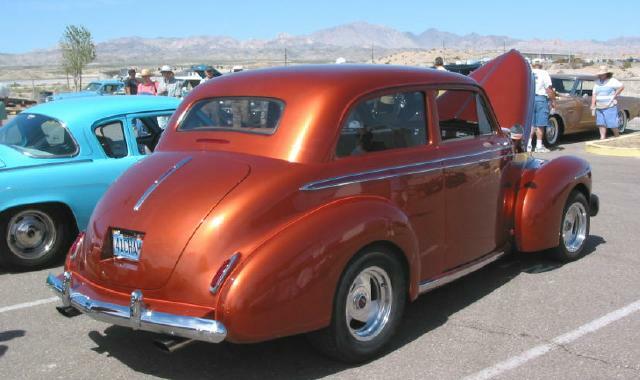 The photo was taken at a 2004 car show in Laughlin, Nevada. Here is another picture from the same show. Brooks Stevens did a nice facelift on the Lark for 1962 that included lengthening 2-door models by 9 inches. The 1962 Daytona featured bucket seats and was available with an optional four-speed floor shift. 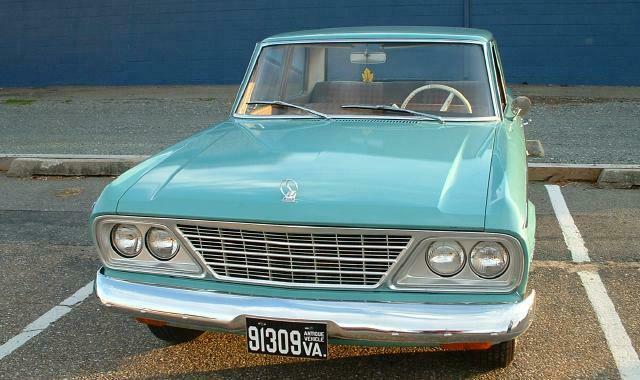 The top engine that could be ordered in a 1962 Lark was Studebaker's 289 cubic inch V8 with four barrel carburator and dual exhaust rated at 225 horspower. This was the same engine that was used in the Gran Turismo Hawk. A Daytona Convertible served as the pace car for the 1962 running of the Indianapolis 500 Memorial Day Race. The original intention was to use an Avanti as the pace car, but it wasn't ready in time for the race. Studebaker sales rebounded in 1962 but stalled again the following year. 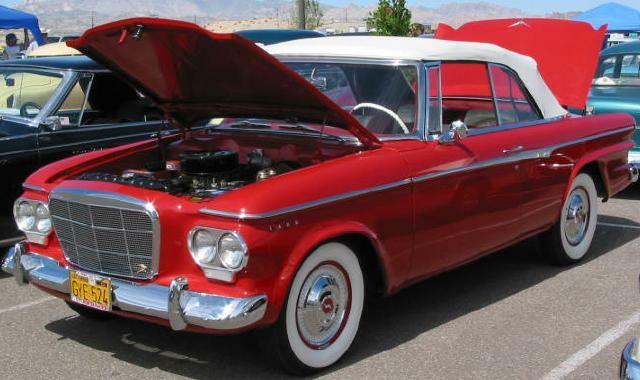 Convertible production for 1962 was about 2,700 units including the less expensive Regal model. 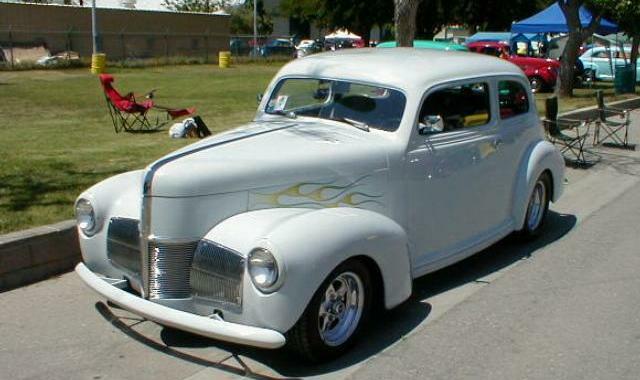 These pictures of a sharp 1940 Studebaker Champion Street Rod were taken by Bill Hower at a National Street Rod Association show in Bakersfield, California. 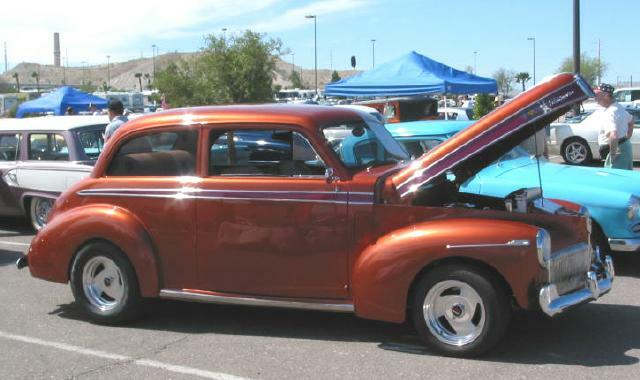 The Champion was introduced in 1939 as a competitor to Chevrolet, Ford, and Plymouth. In that it was about 600 pounds lighter than its competitors, the Champion was reasonably peppy and easy on gas. 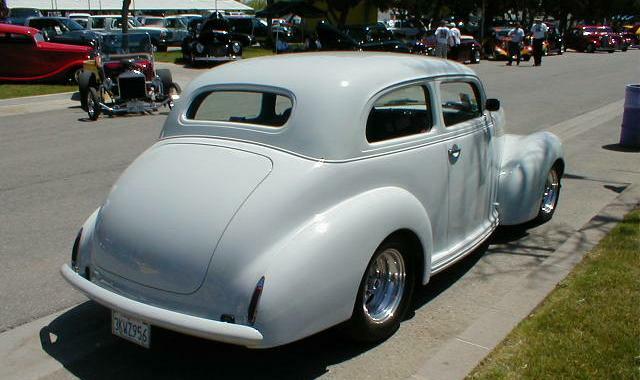 The 1940 version was powered by a 165 cubic inch flat head six rated at 78 horsepower. The Champion sold well with 66,264 produced for 1940. As with other Studebakers of this period, the Champion featured streamlined Raymond Loewy styling, albeit in somewhat subdued form. The Champion received a facelift for 1941 with the main change being a flatened front grille. Engine displacement was increased slightly to 170 cublic inches and output increased correspondingly to 80 horsepower. Production continued to increase with 84,910 Champions produced for 1941. Champions were assembled in both the South Bend and Los Angeles plants. The optional two-tone paint treatment was referred to as "Delux-Tone" in Studebaker literature. Champion production was cut short in 1942 with the outbreak of World War II. Production resumed in 1946 with little change until the all new 1947 models could be introduced. These pictures were also taken by Bill Junge at the 2004 Laughlin, Nevada show. Bill has his own excellent web site called Bullet Nose Paradise which is dedicated to 1950 and 1951 Bullet Nose Studebakers. Thanks again to Bill for helping to keep this page in new material. 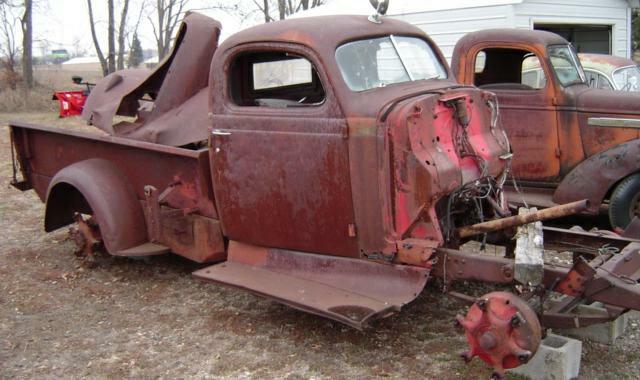 Dave Donley from Minnesota sent in these pictures of a rusty Studebaker Coupe Express Pickup. 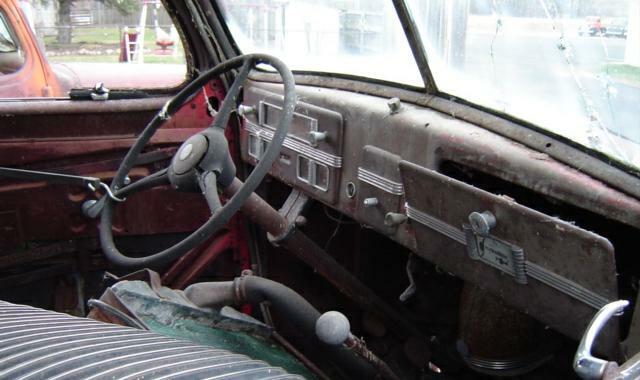 The Coupe Express combined Studebaker passenger car front sheetmetal with a steel pickup box. 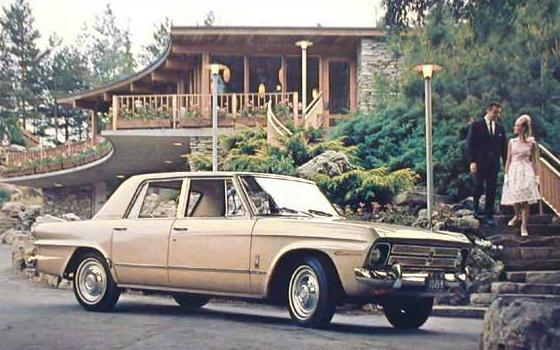 It thus benefited from the streamlined Raymond Loewy styling of contemporary Studebaker sedans. The Coupe Express was also available as a cab and chassis unit that allowed a service box to be installed by an outside supplier. These beautiful trucks were only produced in 1937, 1938, and 1939 with each year featuring the same styling updates that were applied to Studebaker automobiles. 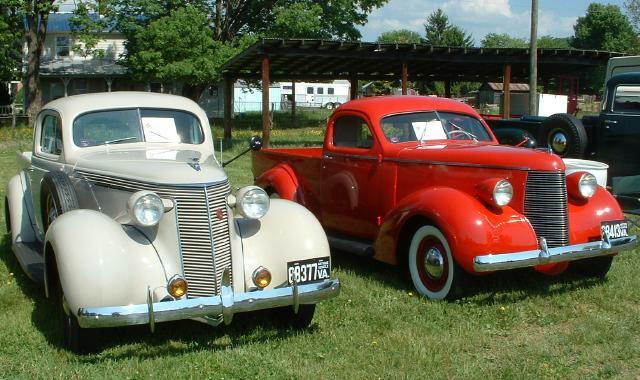 This picture taken by Frank Drumheller shows 1937 and 1938 Coupe Express Pickups both owned by Chester Bradfield of Bridgewater, Virginia. The Coupe express is a relatively rare vehicle, with only about 5,200 being made over its three year life. Now here is something that you don't see every day. Avanti Motors made only 90 of these for the 1990 model year. 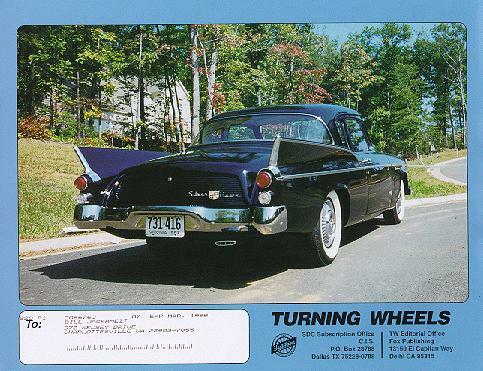 Standard equipment included air conditioning, leather interior with real wood trim, six-way power seats, power windows, power mirrors, power antenna, power trunk release, AM-FM stereo radio with casette player, and a television in the rear console. The only engine available was a Chevrolet 305 V8 connected to a GM R700 automatic overdrive transmission. 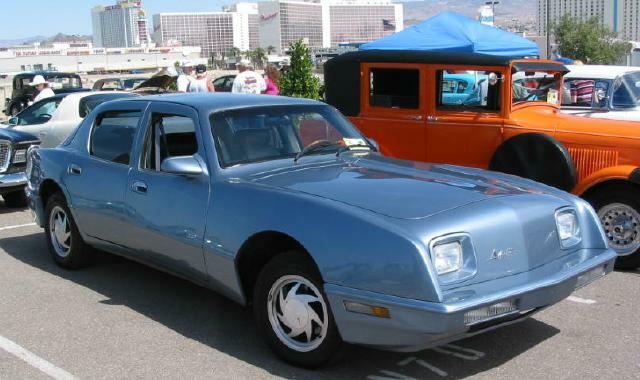 The Avanti Touring Sedan was built on a Chevrolet Caprice chassis and used carbon fiber composites for the roof and Kevlar for the floor pan and bumpers. Thanks to Bill Junge for the exterior picture and to Richard Morris for the interior pictures. 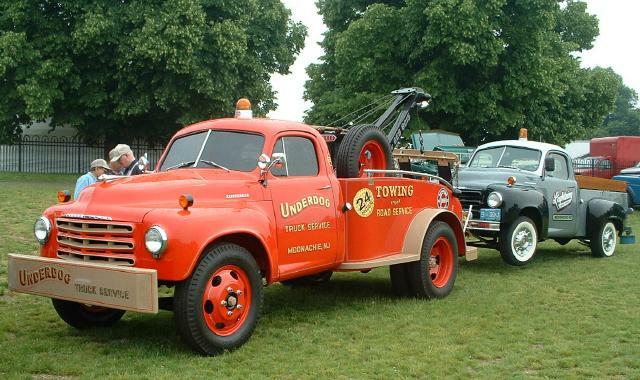 Frank Drumheller sent in this picture of a 1951 Studebaker 2R16A Wrecker pulling a 1949 Studebaker 2R10 Pickup. Both of these outstanding trucks are owned by Richard Janesky, Jr. of Moonachie, New Jersey. If you look closely at these trucks, you can see that they use the same hood ornament as the 1947 to 1949 Champion. Also, the headlight bezels are basically Champion bezels turned upside down, although they have a different part number. The photo was taken at the May 2006 American Truck Historical Society (ATHS) National Meet. Studebaker introduced this style of truck in 1949 and did not make any significant changes until 1954 when the cab was given a one piece windshield and a new grille. 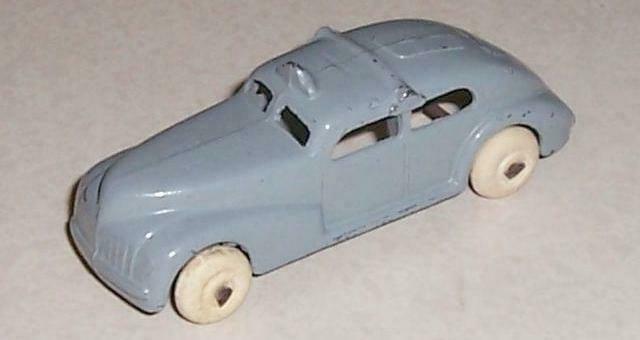 This month's feature toy is a Barclay #318 1940 Studebaker Commander Taxi from my Studebaker toy collection. This is a so-called "slush mold" toy. These were manufactured by pouring hot lead alloy into a mold, sloshing it around, and pouring out the excess before it hardened into a solid mass. This process was discontinued for toy manufacturing because of the toxic lead content. Barclay switched to a zinc alloy but to no avail, as the company went out of business in 1971. The Studebaker Commander Taxi is fairly common in several colors and examples often appear on eBay in the $10 to $20 range. Early versions have painted windows while later versions have open window openings as with the example above. 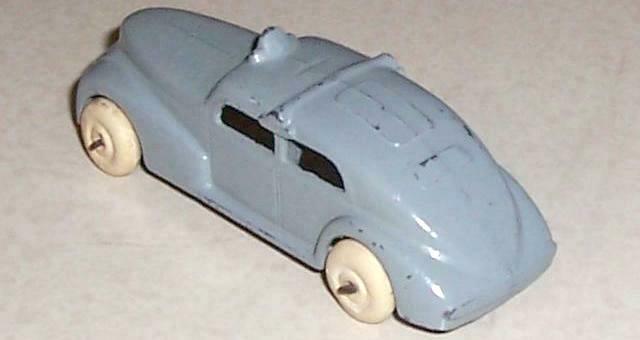 More toy Studes can be found in the Stude Stuff area of this page and on my Studebaker Toys Home Page.